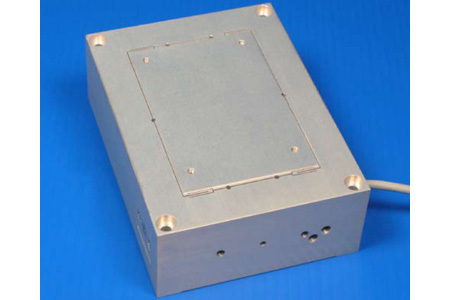 These nanopositioners have been designed to carry heavy optics or sensor assemblies weighing up to 10kg and have enough physical rigidity to counteract large off-axis loads with high positional stability and precise positioning. Additional features include single axis motion, and 50, 100, and 200µm motion ranges. The Nano-HL series of nanopositioners maintain precise positioning and stability with 10kg loads because they’re built from a single block of aluminum that’s nearly 2 inches (50mm thick). They have a resonant frequency of 450 Hz +20% and 1.0N/µm stiffness. Download the datasheet for information on the different models available in the series, and a full list of features and specifications.